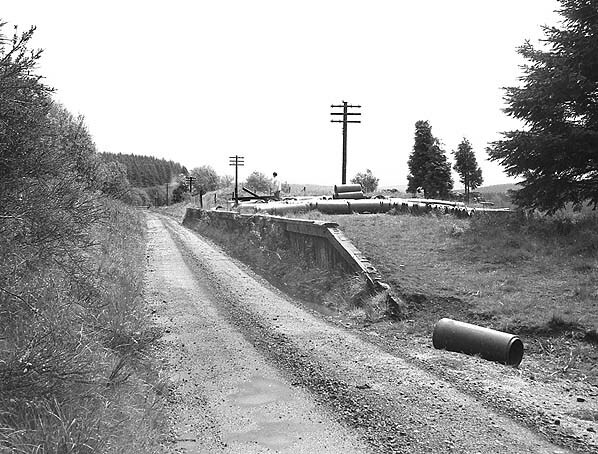 Present state: The very degraded platform survives in a shallow cutting very close to the edge of Kielder Water. A little timber facing survives. Notes: The Ministry of Labour established training camps to re-train long-term unemployed miners and shipyard workers, where skills such as land drainage and road building were taught. 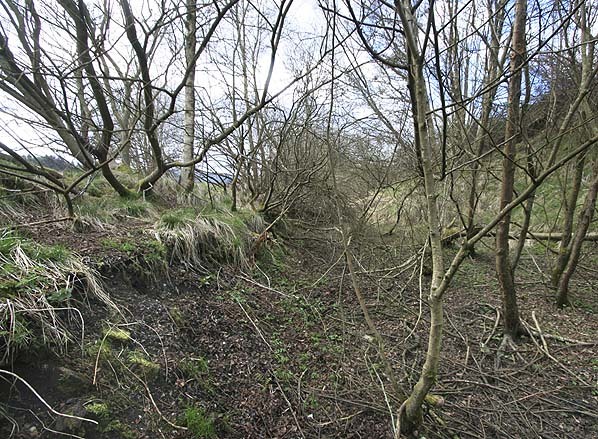 One such hutted camp, known as Lewiefield (later as Kielder) was built near the railway on Forestry Commission land. 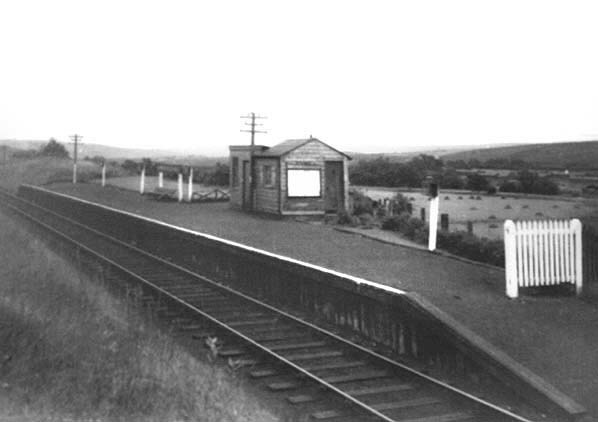 Lewiefield Halt was opened to serve it. In World War II the camp accommodated conscientious objectors who were given work in forestry; refugees from Europe were housed there. The timber-faced platform, on the down side, had two small wooden buildings containing a booking office and a waiting room. 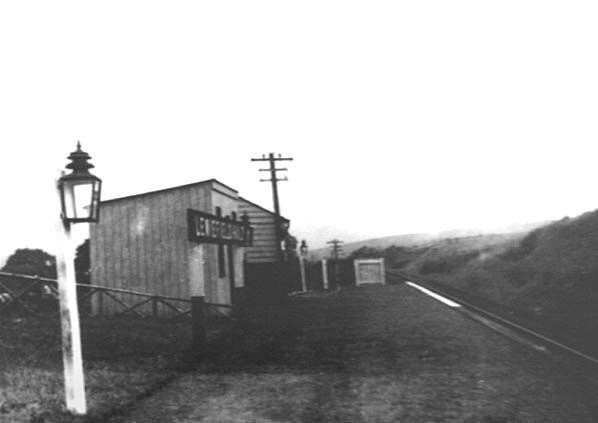 Oil lamps and a standard LNER nameboard -reading Lewiefield Halt- were installed. Enough passenger traffic, civilian and military, was generated to justify staffing the Halt, from 1 June 1938 until 19 September 1955. After closure, the platform gradually degraded and is now little more than a raised area of cinders. 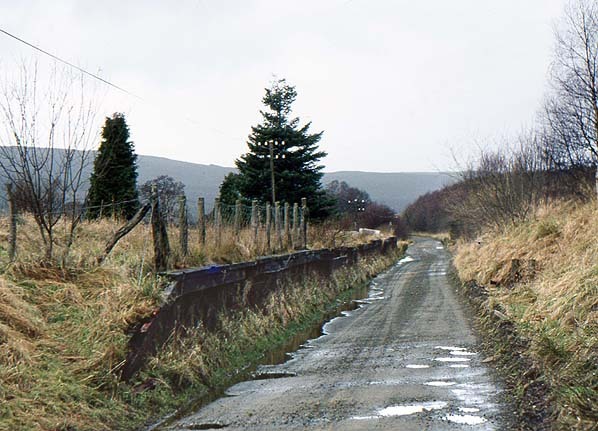 A number of web sites state that Lewiefield Halt is under Kielder Water and even current OS maps show the north side of the cutting above water with the south side below water. This is wrong, the cutting has never been under water. enters Kielder Water after 75 yards.